When you start adding additional layers of parallel schools, you increase the costs even if you somehow divided the children evenly between the two systems (which hardly ever happens). You buy less with the same money. That translates to fewer services for the same kids, larger class sizes, narrowed curriculum, etc. Why? So that parents could choose School A or School B. So that privatizers get a bigger slice of the pie – right from the middle. Public schools are designed to educate. Corporate schools are designed to profit. Those are their very reasons for existing. It’s built into their DNA and is reflected in the way they’re administrated. Each type of school is supported by tax money. Therefore, each school should be held accountable for spending that money wisely. But the rules are radically different for public schools vs. choice schools. Because just like the constant cries of “Inconceivable!” from Sicilian boss Vizzini (portrayed by the inimitable Wallace Shawn), policymakers seem a bit confused. You would expect School Choice to mean that parents would get to choose the school their children attend. However, the policy being pushed by corporate education reformers has nothing to do with that. It’s about allowing schools to choose students, not the other way around. Want your child to attend a charter school? Great! In many cases he needs to meet the requirements of admission – good grades, well behaved, no learning disabilities – otherwise they boot him back to the traditional public school he came from. Want your child to use a voucher to attend a private school? Fine! The voucher will pay for some of her tuition, but you’d better be able to make up the rest AND she needs to meet the criteria for admission. If administrators don’t want to accept your child, they don’t have to, nor do they ever have to explain why, nor do you get a public forum where you can question them, nor do you have any power to vote them out. They could decide to turn you down because your child is a minority, disabled, gay, has a belief system of which they do not approve, anything really! And they will never have to explain themselves to anyone. To me, that’s not school choice. But that’s what they’re selling and some folks are buying it all up like an email sent to you by an inconvenienced Nigerian Prince who just needs your help with a funds transfer. You could devise a system of School Choice that actually involved parents being able to choose the school their children attend. I wouldn’t suggest it. I’m opposed to all forms of School Choice for reasons I’ll make clear later. But I would certainly be more amenable to a plan that actually did what it seems to promise. So what would real educational choice look like? What would we need to achieve this goal? First, it would require a massive increase in school funding. Think about it. You’re asking the government to pay for several separate, parallel systems of education. Students won’t just have School A to choose from. They’ll have School A, B and C.
So we need to construct more schools. We need to staff them. We need to provide each one with books, computers, equipment, etc. That’s going to cost an incredible amount of money. We’re talking about at least doubling the amount of money we pay for public schools – more likely tripling or quadrupling it. This is certainly possible. Maybe it’s even preferable. But it won’t be politically acceptable for many people. The push has been to downsize government, do things on the cheap, lower taxes, etc. Strangely, School Choice cheerleaders often push their agenda as a way to save money. That’s because they don’t care about the quality of the choices they’re offering. They’re not providing enough money for several excellent schools that parents can pick from. They’re taking the money we already spend on one school and having multiple schools fight for it. It’s like a dogfight for schools. They’ll rip and tear at each other, and the winner gets to take away the most funding. It’s a bad model for animals and an even worse one for schools because everyone loses. No one walks away with enough money to get the job done. You end up with several choices but none of them can really provide the best academic experience. None of them can even provide the kind of education that would come from having just one well-funded choice. What’s worse, in most states even before you start adding parallel schools, the current funding system is broken. We simply don’t provide enough funding for the schools we already have without adding even more choices. All public schools don’t get the same amount of money per pupil. That’s true even when you adjust for costs. Under the current system, schools with a rich tax base provide Cadillac resources for their children. Meanwhile, schools with a poor tax base can’t provide everything that is needed so their kids have to do with less. That means fewer resources, fewer teachers, larger classes, etc. So-called School Choice policies only make this worse. Schools that already don’t have enough funding to meet their students needs have to give larger portions of their shrinking budgets to charter schools. So instead of one school without enough funding, we have two. That doesn’t fix anything. However, both of these problems are solvable and the solution is the same in both cases – money. If you want real choice, you need to do two things: (1) discontinue funding schools based on local property taxes and (2) dramatically increase school funding. Both the state and federal government would have to kick in much more. Local taxes could still be collected to pay a portion for public schools – this could even be collected based on how much each community can afford – but no longer could we allow poor students to get less funding than rich kids. No matter where you lived – in the slums or in a gated community – you’d get whatever funding your school deemed necessary. This would probably be paid for with a substantial tax increase, though you could also make cuts in other places in local, state, and federal budgets. For most people, I think this would be unacceptable, but it is certainly conceivable. Second, you need the same rules governing these separate systems – especially when it comes to admissions. This would be especially hard on charter school and private school administrators. There could be no more picking and choosing which students get to attend your school. If an emotionally disturbed student with bad grades and an even worse record of behavior wants to attend your charter school, you’ve got to accept him. If a poor student whose parents don’t have the money for tuition (even with the voucher in hand) want to attend your private school, you’ve got to accept her. This shouldn’t be such a burden. It’s what traditional public schools do now. They take everyone regardless of grades, ability, behavior or poverty. Third, all schools would have to be transparent and democratically controlled. Their budgets and internal documents would have to be open to public record. Moreover, decisions about how to run the school could not be made behind closed doors – they would have to be made in public. And school directors would have to be subject to democratic control. Decision-makers could no longer be appointed by boards of investors, the mayor or any other bureaucrat. They’d be selected by voters. These would all be public schools, after all, and as such would be subject to rule by the public. Think about what that means. If your child attends a school, you should get a say in what happens at that school. Even if your child doesn’t attend the school, even if you have no children, you should have a say simply because you pay taxes. This has been the practice at traditional public schools since forever. In fact, unless the school has been taken over by the state, it’s required by law. But at charters and private schools, it’s not always the case. It’s funny. In many ways under our current system, the public gets much more input, much more choice at traditional public schools than at so-called School Choice institutions. Many charters and private schools would balk at this. They are not run democratically and are not beholden to the public. That’s just the way they like it. Their business model requires it. If they had to be fully transparent and accountable to taxpayers, what would happen to those schools organized for-profit? I would assume that they would disappear. I think very few parents and taxpayers would allow a fully transparent school to pocket a large chunk of its budget like that. I can’t imagine the public approving a decision to cut student services to boost the bottom line – but this is exactly what happens at certain charter schools every day. Only the protection of current School Choice policies that shield investors from taxpayers allows this kind of malfeasance. We can have real School Choice without all the drawbacks of charters and voucher schools. We can have a system where parents get to pick their children’s schools, where the public is in control, where every child gets an excellent education. To do so, we’d need a series of fully funded, fully transparent, democratically run schools subject to the same rules and expectations. Hmm. But that’s not so different than the traditional public school system we have now. Perhaps doing so would give all schools the latitude to experiment that is usually given to charter schools. But for the most part, we’ve equalized our school system and simply eliminated the worst abuses of charter and voucher schools. We’ve also radically increased the raw number of schools in the system. And we’ve allowed students to attend schools where they don’t necessarily live, but ensured they get adequate funding no matter where they attend. The result is real Student Choice. Parents get to decide where their children attend, and – at least in theory – all choices would be excellent. I’ve got to admit – from a certain vantage point – it doesn’t look so bad. Sure it’s going to cost a lot of money, but maybe it’s worth it. However, finding the cash isn’t the only obstacle. For instance, how do you adequately administrate such a system? I cannot imagine how administrators could decide how much money their school needs from year to year if the student population can change so dramatically in that time period. How would administrators know how many teachers they need and in which subjects? How would they be able to determine the number of classrooms, how many school lunches are necessary and a host of other things? Wouldn’t it be terribly disruptive to have teachers moving from school-to-school every year following student mobility? Additionally, how do we provide transportation with students traveling hither and thither? It would be difficult just to organize buses to get kids to school. Older students could be given bus passes, but that wouldn’t be safe for elementary and middle school kids to be traveling this way unaccompanied by adults. I’m not saying it’s impossible, but it would be very difficult. Perhaps someone could find a system that works. However, I fear this kind of institutional instability would result in some schools being woefully understaffed and underprepared while others have too much. Moreover, such a situation would be extremely wasteful. We’d be spending much more than we need to provide children with an excellent education. We’d be duplicating services unnecessarily. Personally, I can deal with that much more than its opposite. However, flushing tax dollars down the toilet is a bad practice. Is there a middle ground that provides parents and students choice without wasting so much money? Instead of providing a series of parallel education systems, supply one system that is able to deliver multiple services. First, you’d need to fix the funding inequities mentioned above. You don’t have to double or triple what we spend, but you’d probably have to increase support somewhat. And it would have to be distributed fairly. Then once every school has the funding necessary to give every student what he/she needs, we can work on individualizing that experience. This is exactly the opposite of current education policies from the Bush and Obama administrations. I’m not talking about Competency Based Education, either, the latest scam to make standardization look like a student centered model. I mean no more high stakes standardized tests, no more Common Core, no more corporate education reform. Imagine if every district allowed parents and students to choose what kind of education they got within the system. Your child wants to study music? We’ve got an excellent music program. You want your child to study a foreign language? We have plenty of award-winning programs to choose from. Schools would be able to meet the needs of all students because they would be fully funded. No more poor schools and rich schools – just schools. To meet this ideal, we need to forgo the fake School Choice being offered at present. We need to stop having schools fight over dwindling resources like pit bulls. THAT would be a choice worth making. It would be the best kind of school choice. But we get deceptions instead. And if anyone tries to complain, they get blamed for trying to avoid solving the problem! Badly designed, unproven, flying in the face of human psychology. It is all that and more. However, there’s a good reason for its existence – student mobility. We have too many children attending our public schools that don’t stay put. They move from district-to-district and therefore miss valuable instruction. This is a real problem that we need to do something to fix. But before any experts in the field – psychologists, sociologists, or (God forbid!) educators – can speak, billionaire philanthropists chime in with Common Core. If we just had national standards for each grade level in each core subject, they say, it would greatly reduce the amount of material transient students miss. If an 8th grade student at School A moves to School B, for instance, Common Core would ensure that he misses virtually nothing. Both schools would be teaching the same thing. Good try. But it doesn’t work. Common Core only ensures that the same standards are taught in each school during a single year. If a transfer student’s old teacher hasn’t gotten to something yet and his new teacher has already covered it, he might miss the concept entirely – even with Common Core. I am a teacher in a state that has adopted Common Core-look-alike standards. I get many transfer students from Common Core states. There is a definite and often profound gap in their grasp of the material. Pause for a moment and digest that. Common Core – as it is now – does not solve the problem of student mobility. However, if we reinterpret that concept, if we appeal to the spirit of the Core, we may find a “solution” to this problem. And in some places this has already begun. Our billionaire philanthropist friend might look at this problem and say, we need to further homogenize the curriculum at both schools. Educators at both districts should teach the exact same things at the exact same times. On Sept 12, all 8th grade instructors should teach about figurative language. On Sept 13, there will be a lesson on text structures, and so on. In fact, having the same curriculum at two schools is not enough. We need to coordinate the curriculum at ALL public schools. But even if we do that at our public schools, there will be gaps for transient students. A student who left School A after Sept. 12 would have had a lesson on figurative language, but what form did the lesson take? It may have been ineffective. Perhaps the text used by the teacher was subpar. Perhaps the teacher didn’t explain the lesson sufficiently. There is just too much room for human error. What we need, explains the philanthropist – who incidentally made his billions designing computer systems and is not known for mastery of the human psyche – what we need is uniformity. In short, we need scripted lessons. Then-and-only-then will transient students miss the least possible curriculum moving from one school to another. Of course this assumes the move from School A to School B is nearly instantaneous. Day 1 you’re at the old school. Day 2 you’re at the new school. But this rarely happens. Under the best circumstances it can take a week or two. Realistically, I’ve seen students who have been out of school months even a whole academic year between moves. Yes, Mr. Gate… – I mean the philanthropist – may admit reluctantly, transient students will still inevitably miss some school work. The transition from School A to School B may take a couple days, maybe months, but scripted lessons will reduce the gap to the absolute minimum. And here, he may be correct. Common Core taken to its logical and extreme conclusion – scripted lessons – may solve student mobility. But is the cure worse than the disease? If all public school students have scripted, uniform, standardized lessons, what will happen to the quality of those lessons? As the holder of a masters degree in education, as a recipient of a National Board Certification in teaching, as a teacher with over a decade of experience in the classroom, I say this: the quality of education will plummet under these conditions. Everyone will suffer – transient students, non-transient students, EVERYONE. The best possible learning environment is NOT one in which teachers read from a script. It is NOT one where teachers stick to the lesson plan come Hell or high water. It is NOT one where the educator has little to no say in what she is teaching. It is important to have academic standards, just as it’s important to have lesson plans. However, these MUST be created by the teachers, themselves. Otherwise they imprison instructors in straight jackets and make them less – not more – effective. Anyone who has spent any time in front of a class knows that good instruction necessitates instant changes in the lesson to meet the needs of your students. You can plan – and you should plan – but you have to be free to move beyond it. For instance, if you’re teaching students how to write a complete sentence and you have some children who do not understand what a subject and a verb are, you need to adapt. Immediately. On the spot. Otherwise, your lesson will fail. If you’re asking your students to perform a close read of a science text and they cannot read, you must adapt. Immediately. That very second. Or else you’re just wasting everyone’s time. Rigid academic standards cannot do this. Sacrosanct lesson plans cannot do this. Only teachers can. This is one of the major areas where Common Core fails. But what of our transient students? Won’t we fail them if we repeal Common Core? No. There is a better way. But more on that in a moment. Say Common Core is the only way. Say scripted curriculum is the only manner in which to meet their needs. It would still be better to get rid of Common Core to meet the needs of the non-transients. Moreover, even transient children will benefit, because the education they receive when they are in a given school will be of a higher quality than the minimally interrupted lessons they’d receive with national academic standards and scripted lessons. However, let us return to the better solution. Because there is one, and it is easy to see when you aren’t blinded by billionaire’s pet projects. Instead of homogenizing everyone’s schools to help transient students, reduce the instances of transience. That’s right. Reduce student mobility. Stop so many children from moving from school-to-school. That’s impossible, whines our billionaire savior. You may never be able to stop every student from moving between schools, but you can greatly reduce it. All it takes is an examination of the root causes. Why are so many students transient? It turns out this is a symptom of a larger problem affecting the majority of our public school students. If you can help alleviate this problem – even slightly – you’d greatly increase students’ chances of success. Students don’t move around to see the world. They do it because their parents can’t get a job or can’t afford to live where they are. If you undertook programs to create more jobs for their parents, you would decrease student mobility. If you provided cheap, safe, stable housing, you would decrease mobility. If you started social programs to bring transients into a community and stop them from being eternal outsiders, many more of them would put down roots. And if you helped reduce child poverty, you would actually increase the quality of education most children are receiving – even the ones not constantly on the move. We used to understand that poverty isn’t a defect of character – it’s a product of circumstance. We used to understand that most poor people aren’t to blame for their own poverty. We used to understand that a helping hand is better than a pointed finger. Common Core is just another great lie told to obscure these simple truths. Student mobility is just another excuse given to justify this lie. The time for deceptions and half-truths has passed. Instead, we need to roll up our sleeves and actually do something about poverty. It’s time to leave Common Core to the pages of history’s failed social engineering experiments. Because we don’t need national academic standards. We need a shared morality. 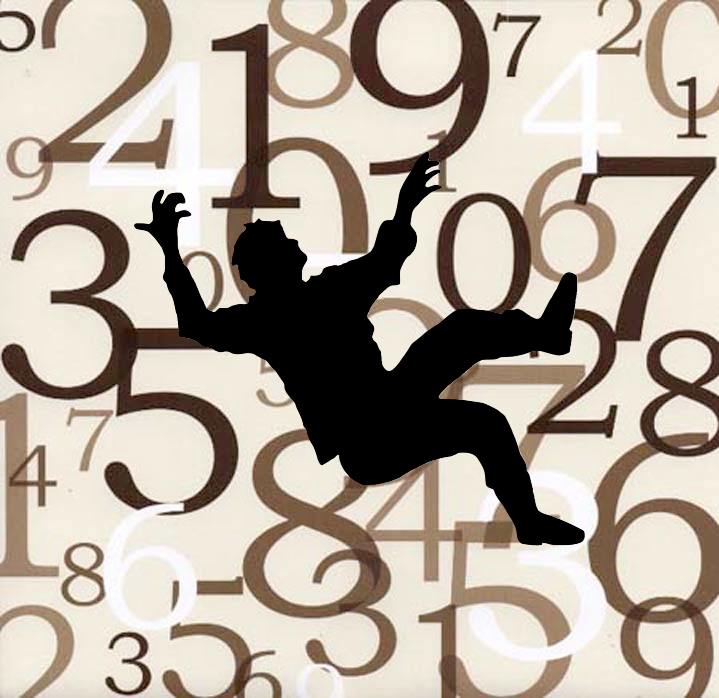 NOTE: Thank you to all my readers who responded to my article “Data Abuse – When Transient Kids Fall Through the Cracks of Crunched Numbers.” Today’s article is the result of your efforts to push me to revisit this subject. Being a blogger isn’t just about writing articles and putting them out there. It’s also about creating a community and entering into a dialogue. I am so grateful to the people who read what I write and engage with it. I can’t do this without you. 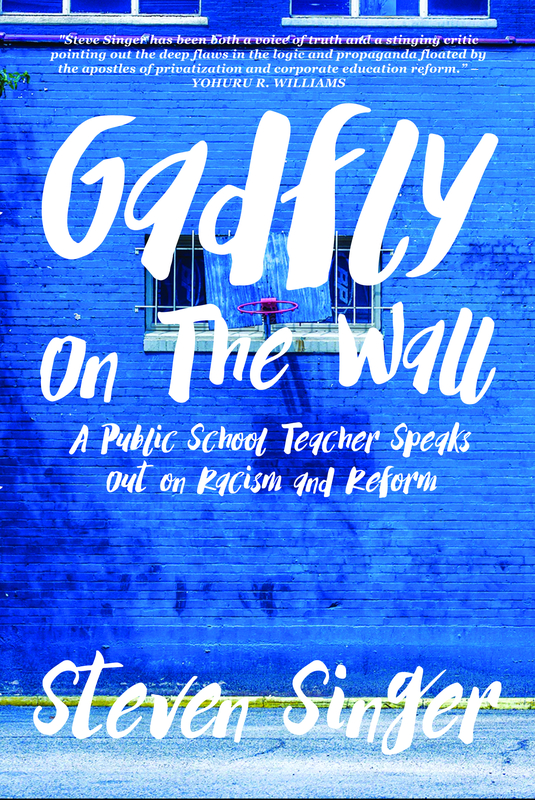 -This article also was published in the LA Progressive and on the Badass Teachers Association blog.